When considering whether to award compensation under the Criminal Injuries Compensation Scheme, the board must rest its determination of “crime of violence” on the act causing the injury, not its consequences. 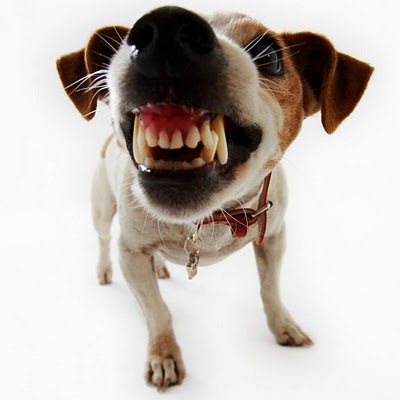 A breach of the provisions of the Dangerous Dogs Act is not necessarily a “crime of violence”. In August 2002 a fourteen year old boy, TS, was riding his bicycle along the pavement of a quiet residential street near his home when a small dog, which had escaped from its owner’s garden, rushed up to him barking in an aggressive manner. TS instinctively swerved away from the dog on to the road and into the path of a car. He was seriously injured. He spent four months in hospital and is now quite severely disabled. The owner of the dog was well aware that it would frequently frighten strangers by barking at them, and would do its best to escape from the garden where it was normally confined. Proceedings were taken against her under section 3(1) of the Dangerous Dogs Act 1991 (which requires owners to keep their dogs under “proper control”) but the prosecution was discontinued after she relinquished ownership of the dog and so no conviction ensued. TS submitted a claim for compensation to the appellant, the Criminal Injuries Compensation Authority (“CICA”), but it was rejected on the grounds that his injuries were not directly attributable to a crime of violence. His appeal to the First Tier Tribunal against this decision was successful and 2nd December 2010 TS was awarded £499,155 by way of compensation. In this appeal by the CICA, the authority contended that it was not possible to regard the only offence committed by the dog’s owner, namely an offence under section 3(1) of the Dangerous Dogs Act 1991, as a crime of violence. It submitted that the decision of the First Tier Tribunal, and Levenson J’s ruling upholding that decision, were wrong in law for two reasons: first, because the owner of the dog had not committed a crime of any kind; and secondly, because, if she had, it was not a crime of violence. The provisions of the criminal injuries compensation scheme governing the payment of compensation contain no definition of a crime of violence, so the question whether a crime has been committed is one of fact. The scheme is not a statute, and therefore does not require statutory interpretation. The leading authority on this question is R v Criminal Injuries Compensation Board ex parte Webb  Q.B. 74. Here, train drivers made claims for compensation for psychological harm they had suffered as a result of having struck and killed people trespassing on the line. Since suicide is no longer a crime, the CICA was urged to look at the consequences of the action rather than the action itself as a “crime of violence”. In R (Jones) v First-tier Tribunal (Social Entitlement Chamber)  EWCA Civ 400,  Q.B. 345, the court was concerned with a claim for compensation for injuries suffered by a lorry driver in a road traffic accident arising out of a suicide. In Webb the First-tier Tribunal was not persuaded that the deceased had committed an offence, because it was not satisfied on the evidence before it that he had intended to cause harm or had been reckless whether his actions might cause harm to others. In Jones the FTT dismissed the claimant’s appeal on the grounds that the deceased had not intended to cause harm and had not been reckless whether someone might be harmed by his actions. He did not therefore have the mens rea necessary for an offence under section 20 of the Offences against the Person Act 1861 and so no crime had been committed. The Supreme Court, considering the appeal in Jones, observed that the decision of the First-tier Tribunal in a case of this kind was to be read benevolently and that both the Upper Tribunal and the Court of Appeal should be “cautious” about interfering with its decisions. on the contrary, the indications are that the owner was negligent at worst in failing to prevent its escape. I find it difficult to accept that negligently to allow a dog to escape, even a dog known to be aggressive, constitutes a crime of violence, giving that expression its ordinary meaning. Since Levenson J had not really dealt with the distinction between nature and consequences, but concentrated (in common with the FTT) on the consequences of the crime rather than its essential nature, he had not followed the approach laid down in Ex parte Webb . Whether a crime of violence has been committed depends on the particular circumstances of the case. The fact that the dog was known to be aggressive clearly weighed with both the First-tier and Upper Tribunals, but I do not think it is sufficient to enable the offence to be characterised as a crime of violence, any more than would be the case of an unfenced machine known to be dangerous. It had not been open to the FTT to find that the offence committed by the dog owner was a “crime of violence” and therefore the CICA’s appeal was allowed.